Author interviews are one of my favorite things to post which is why I am super excited to welcome author Vicki Hopkins to Flashlight Commentary to discuss The Phantom of Valletta. What inspired you to write a sequel to Phantom of the Opera? For many years, I had been heavily involved in the Phantom community writing a blog entitled, "Lessons From the Phantom of the Opera" that did quite well worldwide. In addition, I started an Internet radio show on Blog Talk Radio called "All Things Phantom," where I interviewed other Phantom authors and principle cast members from actual shows who played in Phantom productions. Frankly, I loved the story and it meant a lot to me personally. I was pondering one night the thought that if I were ever to write a sequel, what challenge could I give Erik to overcome? The idea for the story came into my heart, based mainly on Leroux's line spoken by the Opera Ghost, "All I ever wanted was to be loved for myself." What makes your story different from other sequels on the market? Though I have interviewed many other Phantom authors on my Internet radio show, I've only read one other series of Phantom sequels before I started writing my novel. I've pretty much stayed away from being influenced by other stories and plots, because I feared overlapping any ideas into my own works. It's difficult for me to compare my story to others. Perhaps it's time now I start reading more Phantom books. How important was it that your story retain the spirit of Leroux’s work? The most important aspect of retaining the spirit of Leroux's work, of course, is due to copyright infringement on Webber's work. Frankly, I think Leroux characterizes Erik more of a madman than I did with my version of Erik, so I admit I have taken some creative liberties. I did keep the back story, however, and pulled from the text a variety of characters to carry on the story to Malta. As far as the "spirit" of Leroux, I wanted to stay focused on Erik's cry for his need of unconditional love. 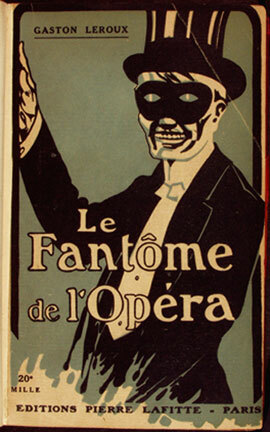 Of course, in Leroux's version we are led to believe the Phantom dies at the end. Since his work is in the public domain, any author can change that ending to continue the story to new levels. Is it difficult working with characters created by another author? I did not find it difficult working with Leroux's characters, because it gave me an opportunity to build those characters further. I choose individuals that were barely mentioned in his work. With Madame Giry, however, I was able to take her character and weave her into the type of person that I imagined. As far as the Phantom in my work, he is frankly a personality creation of how I've always pictured him in my mind, which is no doubt a variety of Phantom influences from the stage and movies. Why did you choose Valletta as your setting? I chose Valletta from a simple search on Google. My story needed a setting, and I wanted to find an opera house during that time period that had been destroyed by fire. The Royal Opera House in Valletta, Malta came up, and after reading the history, I was totally fascinated by the site. It seemed the perfect place to set the story, so I embarked on an in-depth study of the history of the opera house. To my surprise, even before my book hit the market, the Malta news contacted me for an interview. They wanted to review the book after release and publish an author interview, as well. I was totally shocked. I didn't realize that the spot held such a passionate place in the hearts residents on the island. The Royal Opera House was rebuilt after the fire, but subsequently bombed and destroyed during World War II. It's never been rebuilt. The Phantom of the Opera story is a universal one, and there are many Phantom lovers in Malta who loved the fact I took the Phantom to their beloved Royal Opera House. Overall, they have been the most gracious, supportive, and welcoming fans of my story. Were you at all nervous about how your work would be received by the Phantom community? The Phantom community is a unique group of individuals, who are passionate and protective of the story. With my heavy involvement because of my blog and radio show, I knew I was sticking my neck out creating my own story and could very well be strung up with a Punjab lasso for putting one out there. There are many fans with many tastes, and each hold the story dear to their hearts in a variety of ways. They all have their own perception of the Opera Ghost. You tend to get good reviews from those who connect with your characterization of the man behind the mask, and poorer ones from those who can't relate to your interpretation. Frankly, that is okay, because it's a deeply personal story for many of us. I've noticed those interpretations of the Phantom vary worldwide, too. My blog is a perfect example of the universal love of the story with visitors from over 122 countries. I love that you created a new love interest for Erik. Can you tell us a little about Desiree and how you went about creating her? She was mentioned in an obscure line in Leroux's original work, and I built an entire background story for her from it. Desiree was not just a new love interest for Erik, but also a test for Erik. The Phantom had always wanted to be loved in spite of his deformity, but I wanted to test him to see if he could love another in spite of their deformity. I also wanted to make Desiree, who by all rights should hate him, play an important part in discovering healing for her own pain of the past. The story is one of redemption, love, and forgiveness for both characters. In The Phantom of the Opera, we learn most of what we know of Erik from other characters. Why did you decide to tell The Phantom of Valletta from Erik’s point of view? Erik is a complex man. I wanted to focus on his frustration, loneliness, pain, regrets, and longing to be loved. In order to do that, it had to come from his point of view. I believe the story is so popular, because many people relate to him on various levels. I thought it would bring the reader closer to him as a character. Characters like Madame Giry and Richard Mercier are key to the telling in your story. Why did you choose to cameo Christine and Raoul? I chose to cameo Christine and Raoul, because it was an important area in Erik's life that needed closure. They both were part of his remorse over the past. He needed absolution, so that he could be free to pursue his future with another. The original story has some pretty strong themes. Revenge, obsession and perception among them. What themes did you want to convey in The Phantom of Valletta? There are a variety of themes woven throughout my story. One is that the consequences of our choices in life often follow us long after the act itself has played out. This was true of Erik's obsession over Christine. The second is that unforgiveness toward those who have hurt or offended us, if gone unchecked, can destroy us in the process if we seek revenge. And lastly, that each of us long for unconditional love in spite of our outward or inward deformities in life, and it takes great love and resolve to grant that gift of acceptance to others. 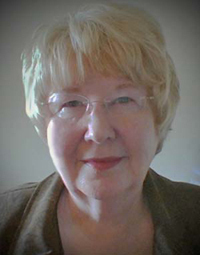 In 2014 she decided to try her hand at something different and chose the pen name of Nora Covington to cross genre lines. “Romance With Kiss of Suspense” is her new endeavor of novellas, which has been well received. With Russian blood on her father's side and English on her mother's, Vicki blames her ancestors for the lethal combination in her genes that influence her stories. Tragedy and drama might be found between the pages, but she eventually gives her readers a happy ending. Her passion, besides writing, is researching her English ancestry. To her dismay, however, Vicki’s DNA test results revealed that 57% of her genentic makup originates from Eastern Europe, only 21% England, and 16% Scandinavian. Regardless of the Russian and Viking percentage, she is obsessed with her English ancestors nonetheless. You will find the names of her family members sprinkled throughout her novels. I am a World War II fanatic so I find it very difficult to admit I have managed to find a fictional war story that I am not particularly fond of. The premise is intensely interesting and I believe the story itself had a lot of potential but the flawed execution detracted so much from the piece that I found I couldn't enjoy the reading. The constant movement between past and present plot lines did little to enhance the drama of the piece. I actually found it distracting and at times very annoying. I also felt the structure was inappropriate for such a subtlety written novel. The personal and emotional themes barely took root before the reader was abruptly ripped away. The fragmentation that resulted from this format faux pas also made it difficult to get to know and appreciate the characters. As a reader I felt distanced from the cast and as such didn’t care about the outcome of their experiences. I had nothing but indifference for Bernard’s suffering and isolation. It is one thing pen a bleak story but the impact of such works is in their ability to reach the hearts of their audience. 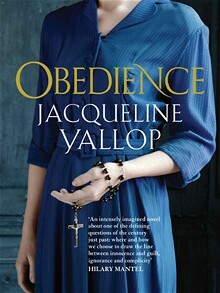 Obedience fell flat in the attempt. Bernard’s story is unquestionably thought provoking but I cannot recommend the book to the casual reader. 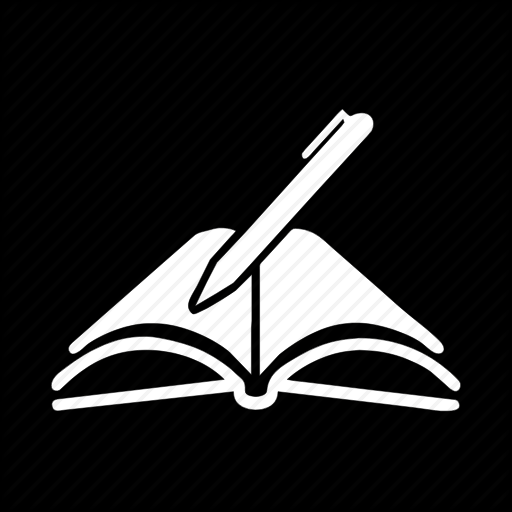 The ambiguity that characterizes the novel requires much effort and more than a little determination to navigate. Still, I can’t disregard the haunting beauty of what Yallop put together in Obedience. Three stars. Jacky Faber, rich from her exploits diving for Spanish gold, has purchased the Lorelei Lee to carry passengers across the Atlantic. Believing she has been absolved of past sins against the Crown, Jacky docks in London to take on her crew, but is instead arrested and sentenced to life in the newly formed penal colony in Australia. To add insult to injury, the Lorelei Lee is confiscated to carry Jacky and more than 200 female convicts to populate New South Wales. Not one to give in to self pity, Jacky rallies her sisters to "better" their position--resulting in wild escapades, brushes with danger, and much hilarity. Will Jacky find herself a founding mother of New South Wales, Australia? Not if she has anything to do about it! I rarely do so but I fear the time has come to raise the white flag in surrender. After eight books I am thoroughly exasperated with Jacky Faber and company. Her adventures may hold the attention and imaginations of legions of others but I find myself compelled to admit defeat and make haste to the nearest life boat. The series has been floundering for some time and while Meyer tackled some more mature subject matter in The Wake of the Lorelei Lee I felt it was too little too late. 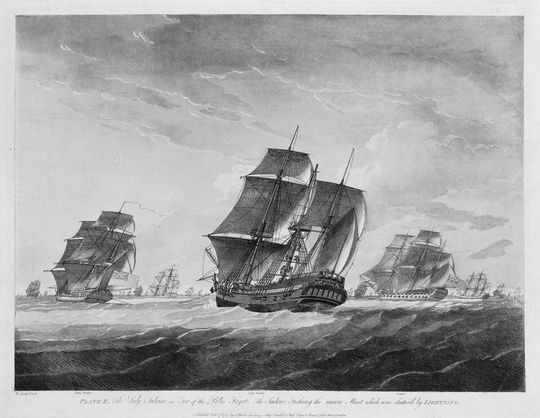 The book takes its premise from the voyage of the Lady Juliana (aka the Lady Julian), a ship that transported more than 200 female convicts to New South Wales in 1789. 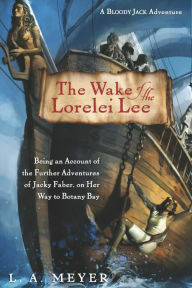 Mrs. Barnsley and little Mary Wade were both passengers on the vessel. The Chinese pirate Ching Shih is another historic figure. Now I love Meyer’s ability to weave history into his stories; these tidbits, down to the traditional songs, are my favorite aspects of his work. I love meeting these characters that would otherwise be forgotten to history. It is Meyer’s wayward heroine I have grown tired of. The now sixteen year old Jacky is very much the same twelve year old we met in Bloody Jack. She has not grown or developed as I expected and I find her lack of maturity grates my nerves. She does not learn from her experiences or mistakes. She still acts impulsively and without much thought to the outcome of her actions. It doesn’t help that I find her to be a hypocritical snipe. She insists every female of her acquaintance strive for some semblance of respectability but applies no such standard to her own behavior. Her comments to Jaimy carry similar undertones as she continues to berate him for his single indiscretion while she is free to flirt and parade her bum in front of any man with a coin for her purse. Jacky’s adventures have also stagnated. At the close of each book she has wormed her way out of trouble but within a few chapters of the next installment she is inexplicably ensnared in it once again. She is continually reuniting and being torn apart from Jaimy. Her enemies are remarkably similar and have started to run together. It doesn’t help that Jacky is universally more talented and intelligent than those around her… can someone please explain to me how a sixteen year old is more adept than every other sailor, performer, spy and soldier on the planet? Each volume features such meager changes to cast, situation and local that I can't force myself to continue the series any longer, especially since Meyer is expected to release the tenth installment this fall. With no end in sight I feel I have no choice but to jump ship. Farewell Jacky, fair winds and following seas and long may your big jib draw. Ever the showgirl I dart over to the anchor, slap my rump down on it, slide my goggles up onto my forehead so I'll look more appealing, a ride up in grand style. The day Louisiana teenager Rory Deveaux arrives in London marks a memorable occasion. For Rory, it's the start of a new life at a London boarding school. But for many, this will be remembered as the day a series of brutal murders broke out across the city, gruesome crimes mimicking the horrific Jack the Ripper events of more than a century ago. Soon "Rippermania" takes hold of modern-day London, and the police are left with few leads and no witnesses. Except one. Rory spotted the man police believe to be the prime suspect. But she is the only one who saw him. Even her roommate, who was walking with her at the time, didn't notice the mysterious man. So why can only Rory see him? And more urgently, why has Rory become his next target? In this edge-of-your-seat thriller, full of suspense, humor, and romance, Rory will learn the truth about the secret ghost police of London and discover her own shocking abilities. The only thought in my head for much of the reading was that of Alexis Bledel as Rory Gilmore. It doesn’t do much credit to a story when the reader is perpetually distracted by a pop culture reference. You don’t see Heathcliff or Rochester being thrown around the literary world for a reason. The goal is to hook your reader, not set them in mind of other amusements. Perhaps I am too judgmental but I feel this was an exceeding poor choice on Johnson’s part especially since we are talking about her protagonist. Chapter one is bad place to identify your first red flag. I also found Johnson’s assumptions presumptuous especially as she is an American. For example, the central character is greeted at what I assume to be Heathrow by Mr. Franks who informs her that “Some nutter’s gone and pulled a Jack the Ripper.” She barely even registers the name and doesn’t attempt to understand the reference. 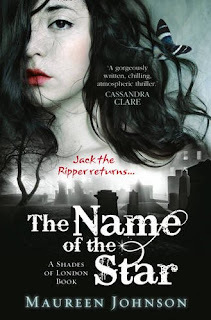 Maybe I am mistaken but I was under the impression that the name Jack the Ripper is what sold this book. Okay, Rory is American but we aren’t completely incompetent. She may not know the details of the case but the name would certainly ring a bell. I was similarly irked by Johnson’s need to explain the term “prefect.” Again, I know we are largely considered uncultured, ignorant and arrogant but give us a little credit. Harry Potter mania wasn’t limited to jolly ol’ England mate. To be fair I did appreciate the explanations of Bonfire Night and the local perception of pubs and alcohol in general but I would have been happier if I didn’t feel the author was insulting the general intelligence of teenage America. Thoroughly annoyed is not a good way to begin the third chapter of any book and things don’t get much better. The writing is mediocre but the pacing is the nail in the coffin. The story doesn’t take off until the last hundred pages but getting there like slogging up a mountain in the rain. Irrelevant anecdotes about Rory’s family, Wexford’s daily menus and occasional episodes of awkward snogging leave little room for character or plot development. Rory doesn’t go after the killer until she realizes she is a target but she also doesn’t have any genuine interest in what is going on around her. No, our insipid heroine is only relieved the threat and subsequent media circus have resulted in cancelled hockey sessions with Charlotte and Call Me Claudia. Why should a reader be interested in a story the primary character is a) not interested in and b) largely uninvolved with? I don’t know about you but I find it appalling that Johnson and publisher G.P. Putnam’s Sons would stoop so low. It would be different if these were unbiased third parties or professional critics but by the author’s own pen, these are her friends. As such their opinions are irrelevant. Additionally the appearance of their feedback paired with Johnson’s admission call into question the integrity of all three women as they are essentially endorsing a piece they had a hand in creating. Bad form all around, bad form. At this point you may be wondering why I have issued a two star rating rather than flagging The Name of the Star a complete waste of time. The truth is I, like so many others, have a rather morbid curiosity in regards to the Whitechapel murders. The basic concepts of the story are not altogether horrid and I actually really like the idea Johnson was trying to execute. The Ripper theme wasn't as strong as I had hoped but there were a handful of chapters towards the end where I actually felt the book was getting better. This brief shining moment was subsequently followed but a train wreck but that doesn’t change the fact that for a few pages, hope existed. On the fence about taking on book two when it is published in the fall. If I learned anything from Anna Godberson’s Luxe series or Libba Bray’s Gemma Doyle trilogy it is to listen to my gut and quit while I’m ahead. Still, I like to think authors improve with time and experience. I have yet to identify anyone who fits the description but I have been known to torture myself searching for that elusive diamond in the rough. Clearly, Jerome and I had a complicated thing going on. He told me scary Jack the Ripper facts, and I had the sudden need to make out with him until I ran out of breath. Another chapter in the life of the infamous Phantom of the Opera, as penned by Gaston Leroux, continues when he leaves Paris and moves to Malta in search of a new beginning. Clothed in secrecy, he purchases The Royal Opera House in Valletta, which has been destroyed by a devastating fire. In an attempt to bury the pain of his past, the burned-out shell becomes his new obsession. He is determined to resurrect the structure from ashes and return it to glory. To raise funds for his task, he holds a masquerade and encounters a strange woman who prophesies his destiny of undoing and death. Her words haunt the Opera Ghost, but he continues on his path of restoration. After years of hard work, the gala reopening occurs. The Phantom is convinced he has reached the pinnacle of success in his life. He rests in peace over his accomplishments. For sheer amusement, he takes on a new student, which leads him down a path of romance, mystery, and danger. His fortune unfolds before him, and he discovers he cannot hide from those who seek retribution for his former sins. He is forced to reap the consequences and comes face-to-face with his darkest demons and fears. In the end, his insatiable hunger for beauty is challenged to the core. Will he survive the obstacles he encounters or will this finally be his undoing and death? Kindle freebies carry a certain stigma. The titles are believed poorly written and horribly edited. It is sad but by and large I can’t disagree with the perception. My kindle library is littered with free lit, most of which I can’t claim to have particularly enjoyed. The Phantom of Valletta is an exception. I have my criticisms but they are of little consequence. Hopkins’ work is fabulous. Admittedly, my initial feelings were far different. I couldn’t wrap my head around a book told from Erik’s point of view. I like the Phantom’s dark enigmatic persona. Leroux doesn’t disclosure the full history of his character and I believe that is why after more than a hundred years the Ghost still captures our interest. He is a mystery, never fully explained. Being inside his head, essentially wearing the mask stripped Erik of his secrets. I wasn’t disappointed exactly, more like disenchanted. There is nothing inherently wrong with Hopkins’ interpretation but sometimes less is more. Sometimes it is not what we know but what we don’t know that leaves a greater impact. The book really takes off with the introduction of Desiree. Again I was hesitant. The idea of Erik tutoring and molding the talents of another female student seemed repetitive and trite but I was wrong. The private young woman breathes life into the story almost the moment she appears. It is through her that Hopkins’ talent shines. Valletta’s Royal Opera House provides a breathtakingly beautiful backdrop for the continued story of the Opera Ghost and the plot is wonderfully constructed. Once the story takes off it simply doesn’t let you go. My only real complaint is the hasty ending. Every other aspect takes time to develop allowing the reader to digest it but the final scene is feels more like a drive by. 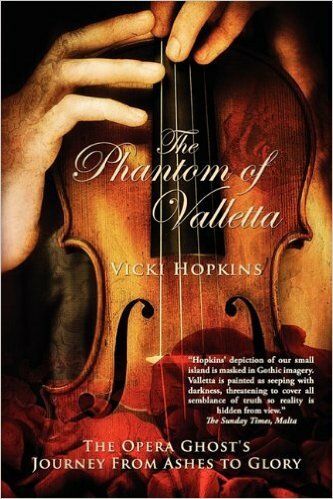 Sadly, The Phantom of Valletta is no longer free to download but the book is more than worth looking into. For fans of the story, this one is not to be missed. Erik enjoyed playing a game of chess with the lives of others around him. He did so to his own advantage, smugly proud of how well he could manipulate the paths of unsuspecting people to achieve an end.